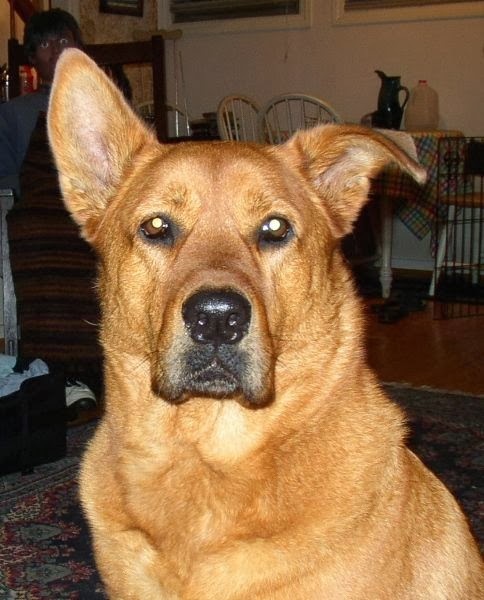 My boy Kismet was once under the oppressive rule of a rather foreboding alpha dog named Passion. We were all kind of under her rule. Passion was clearly a soul that grudgingly agreed to come down here as a dog in order to teach me how to love unconditionally. And she never let me lose sight of her sacrifice. She spent most of her 10 years of life incredibly bored and trapped inside a slightly broken body. Imagine if you had to come back as a dog. Parts of it would be good, but most of it would bore the crap out of you. Anyway, knowing this about Passion, I let her choose a companion dog. She chose a terrified and deeply wounded boy that I called Kismet because I kept out of the decision making and trusted the right dog would come to us. Because Passion was big and scary and ridiculously alpha, she was a good match for Kizzie. She could protect him. Also, knowing that Passion was bored and more human than most dogs, I told her we could co-parent. 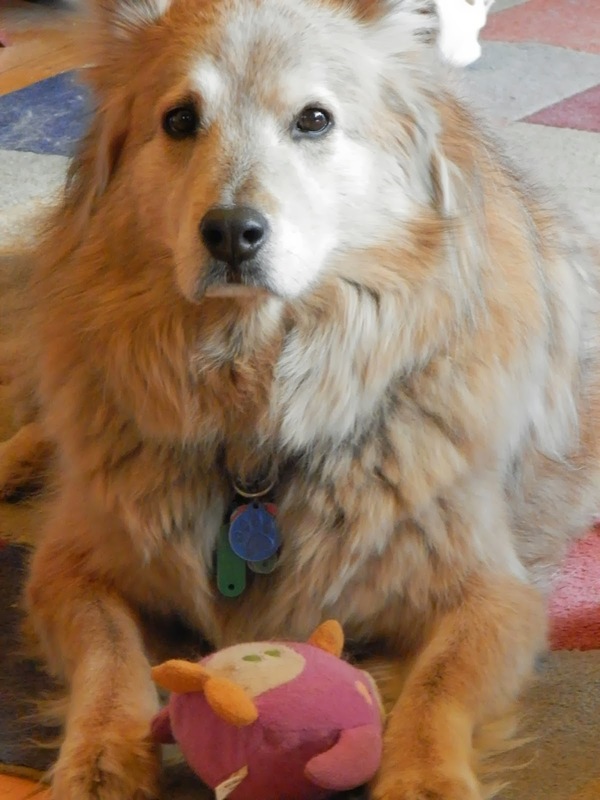 She was a very strict parent and Kizzie was never allowed to play with toys (bones were OK, but all toys belonged to her.) I would try to buy him toys for Christmas and she would yank them from my hand, never to be seen again. Kizzie didn't seem to mind. After he met Passion and me and was confident he was safe, he became kind of happy-go-lucky...content with pretty much any circumstance as long as he had a full belly and his girls at his side. All of this is setting up an odd phenomenon that happens around the house. 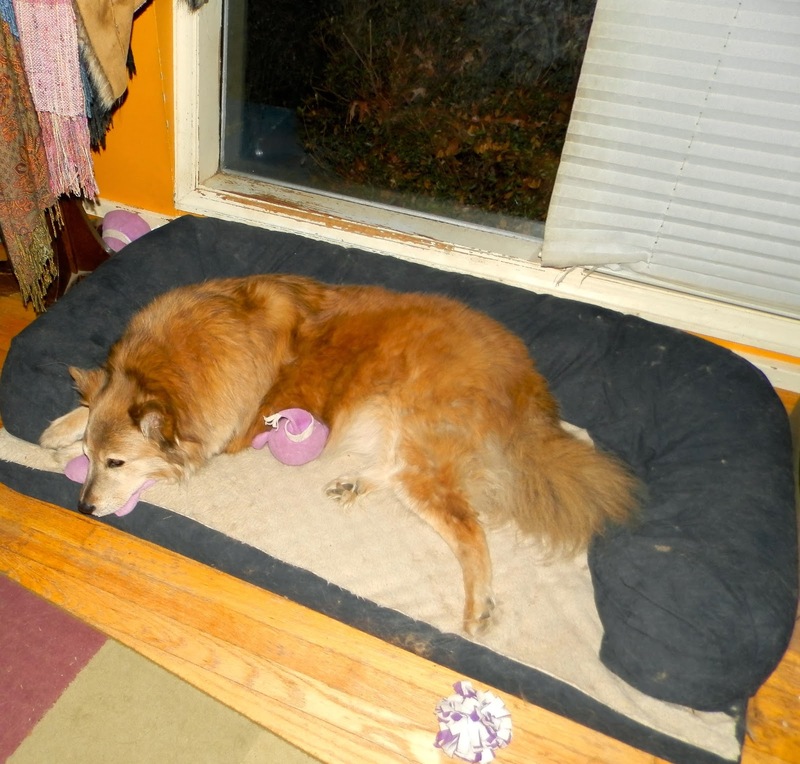 Often over the past few years, I'll glance over at Kizzie on his bed and he'll be surrounded by stuffed toys. Now, I've only ever once seen Kizzie with a toy in his mouth and that was the day we met him. So I don't think he's carrying them into his bed. I suppose it might be logical to assume his sisters deposit them there after play and that's how they get there. I don't pay that close attention, so again, it's not something I've seen. But that's just as well, because there's another explanation I kind of fancy. See, Kizzie sees dead people. He's got a lot of mystical/healing energy to him. Often when I meditate, he'll come over and sit at my feet and "watch" my body while I'm gone. I have a painting of Passion on my living room wall and I can't tell you how many times I've seen him just sit and stare at that painting, transfixed. Plus, he seems to "see" something sitting on the sofa and won't jump up for a snuggle until I prove it's gone. I think Passion visits. And I think she is surrounding him in toys! Sometimes when people die, they'll hang around or come back to help right some of the wrongs they did on earth. It's like a last-chance extra credit move. They get up there and see clearly, for the first time, the error of their ways and they set about righting it as well as they can, assuming they don't want to repeat the lesson again. My father did this with me. Years after he died, he helped me buy this house through a series of interactions he had with me. I think he even pulled some strings in the afterlife, because someone else's contract got accepted first. When that happened, I heard him say "10 days" in my ear. Ten days later, that contract fell through and the house was mine. I'll have to tell the whole story one day, because there were so many signs and "coincidences" surrounding the purchase of this house. He did it to make up for some of the ways he treated me unfairly in life...unfairly in comparison to all my other siblings. None of us "deserved" his help as an adult and all of us got more help than most kids. But there was a pattern of me being given less privilege than my siblings. I never knew why, but suspect it was because I chose something other than marriage or the military for my life. In his eyes, those were the only acceptable options for girls and I had the audacity to make a man's choice...to do whatever I pleased with my life. Build a career. Stay single. Have dogs instead of children. That said, my life was more privileged than most, so I'm not complaining. Just explaining. I think he got up there and saw the pain it caused me to be treated differently and how hard I worked at building my "alternative" life. So he helped me find the perfect house and made sure I got it, despite the competition. This isn't something I just suspect. It's something I know because the "coincidences" were just too much to be coincidences. And so I wonder if Passion is doing the same thing for her Kizzie boy....surrounding him in all the toys he never got to play with when he was young. That's how I like to think of it. I also like to think she helped him find the confidence to be more leaderly once she was gone. And I think she also helped us find Magick Moonbeam to inject a more lighthearted tone into our lives. I think our loved ones who have passed over help us out much more than we'll ever know. All this begs the question as to whether you've ever had someone help you from beyond the grave? But it should also make us think about what we might discover about ourselves and the way we treat those we love while we're alive. My father stayed behind a long time to help sort things out before he could move on. While we work at our growth to help us evolve in the next incarnation, we might also consider letting down some of our defenses and walls to leave without regrets and help us move forward more readily in the time between lives. Wonderful post Tierney, absolutely beautiful! Beautifully told! I can feel your story. Well done.